Growth takes time. We analyze your business to build on its potential. We will identify and understand the revenue drivers for your company, which can help you implement a strategic plan to increase the profit, reduce costs and ensure a high potential for growth. 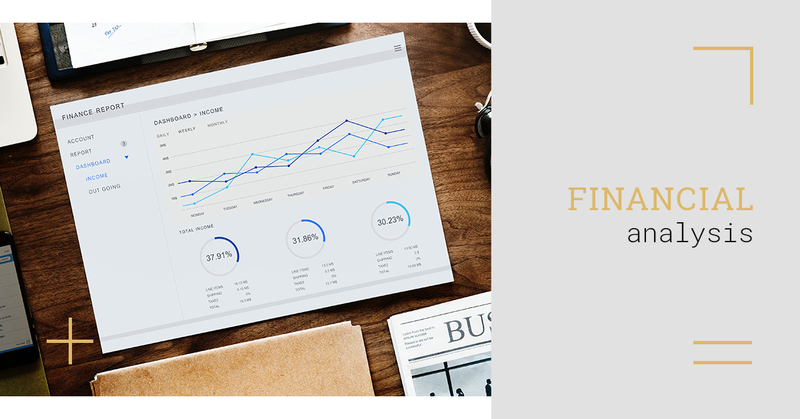 Financial analysis is the process of evaluating a company’s finance-related entities, as well as business budgets and projects in order to determine their potential for growth, performance, and sustainability. This process requires a deep understanding of cash flow statements, balance sheets, and income statements. If done right, the financial analyst will be able to form long-term plans for business activity, set financial policy, and evaluate economic trends. One common and effective way to perform financial analysis is to compare your company against other companies in the same industry. Ratios like return on assets (ROA) can be used to figure out how efficiently a company is using its assets and to determine how profitable it is. In order to have a better picture of where your company stands it can be compared to the ratios of other companies in the industry for a better financial picture. The two types of financial analysis are technical and fundamental analysis. Fundamental analysis makes use of ratios such as your company’s earnings per share (EPS), whereas technical analysis involves moving averages (MA) and other quantitative information. With investment finance, an outside financial analyst is used to conduct financial analysis, specifically for the purpose of investing. Using a bottom-up approach, your financial analyst will analyze a specific company, understanding past performance and predicting future performance for use as investment indicators. On the other hand, a top-down approach looks at high-performing sectors and other macroeconomic opportunities to determine the best company in that industry. Doing something because that is the way it has always been done is a growth stunting pitfall far too many businesses fall into, let us help you move into a brighter future. A & N doesn’t simply apply a one-size-fits-all approach when it comes to financial analysis. We start at the beginning with every client, understanding their needs and the deep financial history of the company before getting started. Whether you’re a startup just getting your footing in the business world or you’re a large corporation, the experts here at A & N Accounting are here to help.